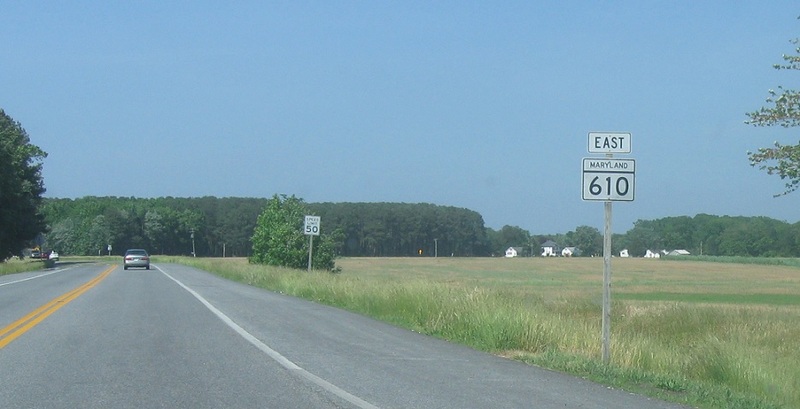 Reassurance shield as MD 610 begins. 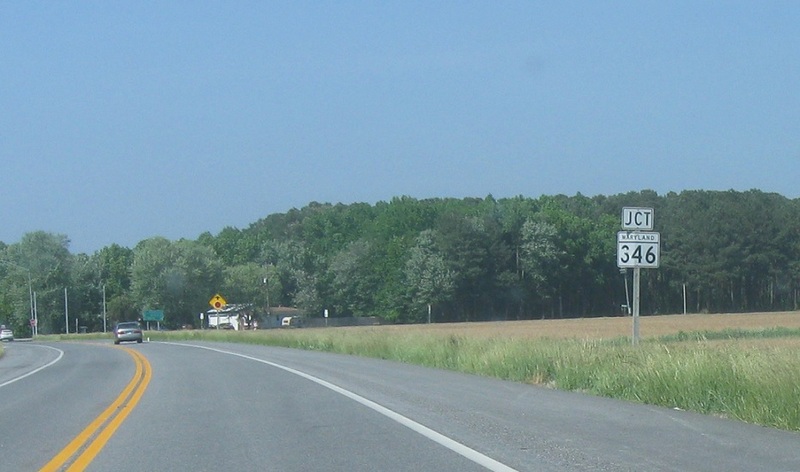 Just after that, we’ll approach Route 346 which is old US 50. Follow 346 east to St Martin. 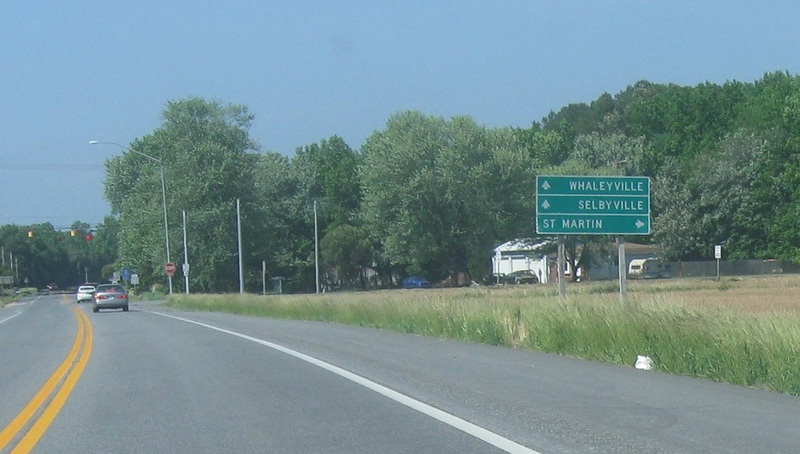 Stay on 610 for Whaleyville and Shelbyville, Del. 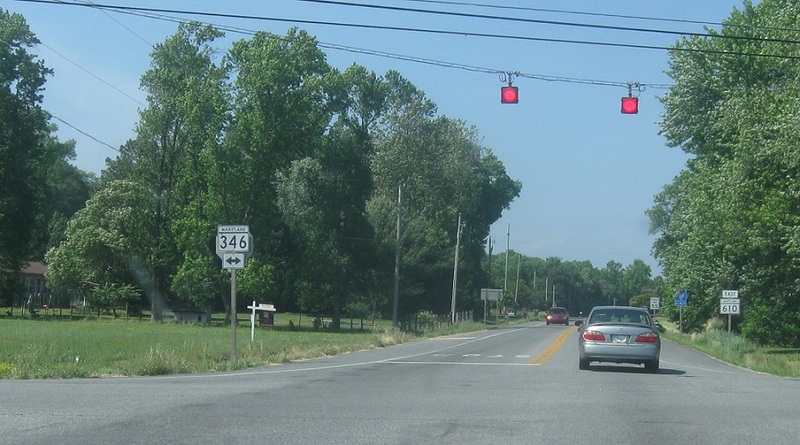 Turn right for 346 east and left for 346 west.